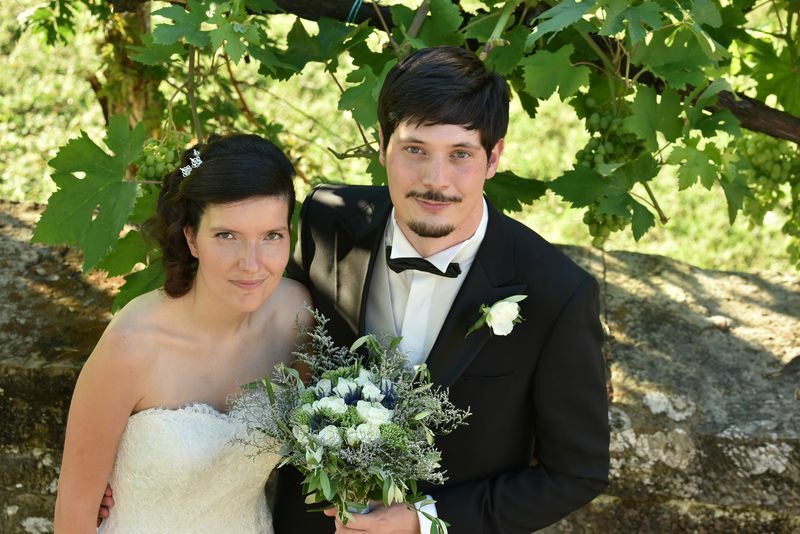 A beautiful couple, close knitted and determined: they didn’t want to get involved with a lot of DIY and their theme was Greece and its deities. 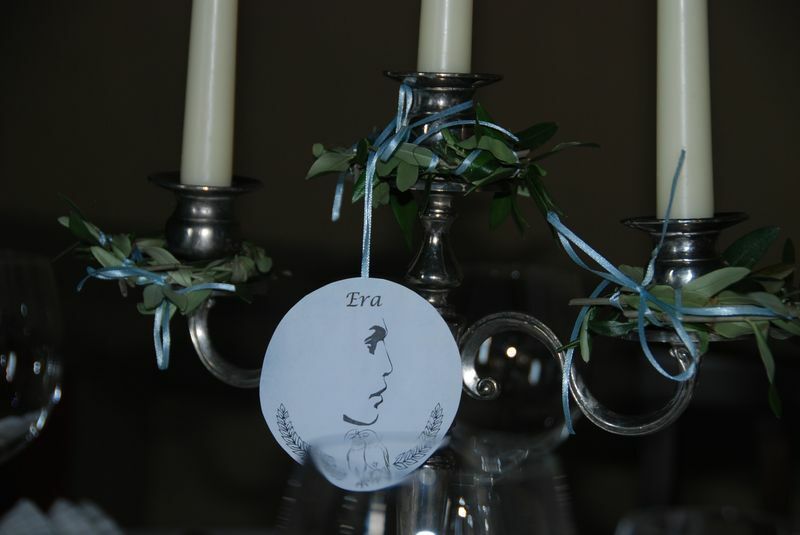 They didn’t want the theme to come up too strong, so we used the olive and light blue ribbons to recall the Greece and its sea, with the tables carrying the names of the Olympian gods and goddesses. 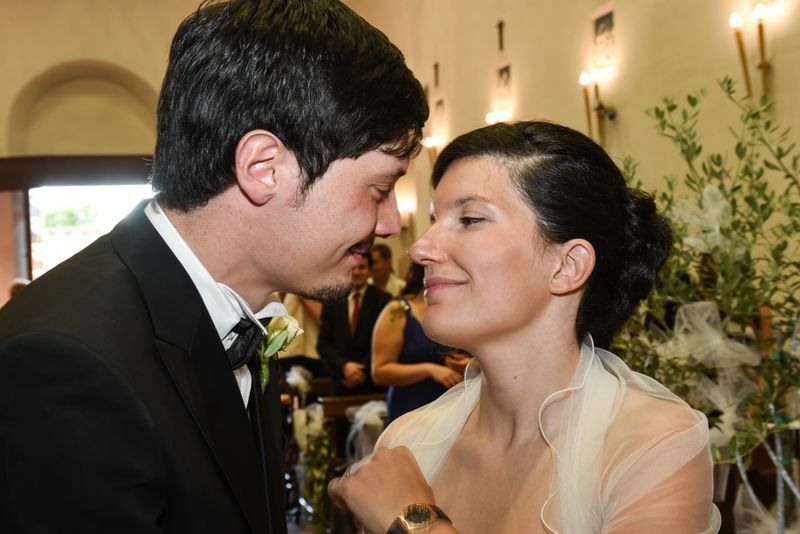 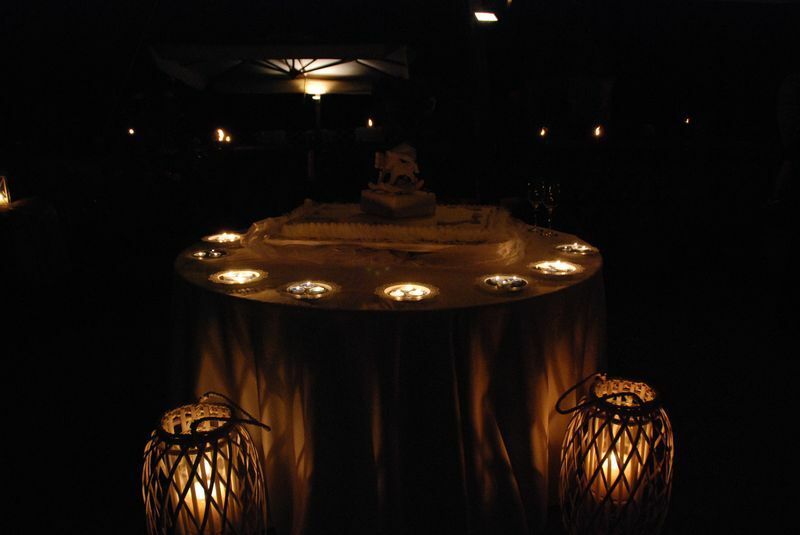 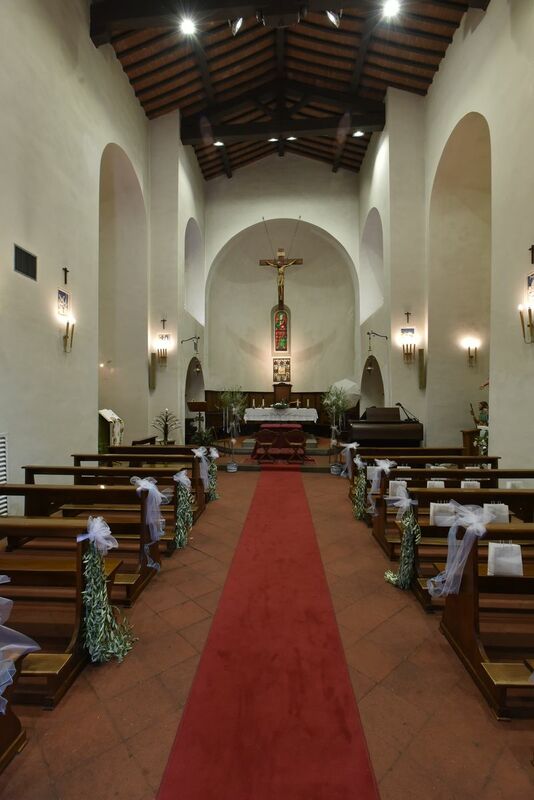 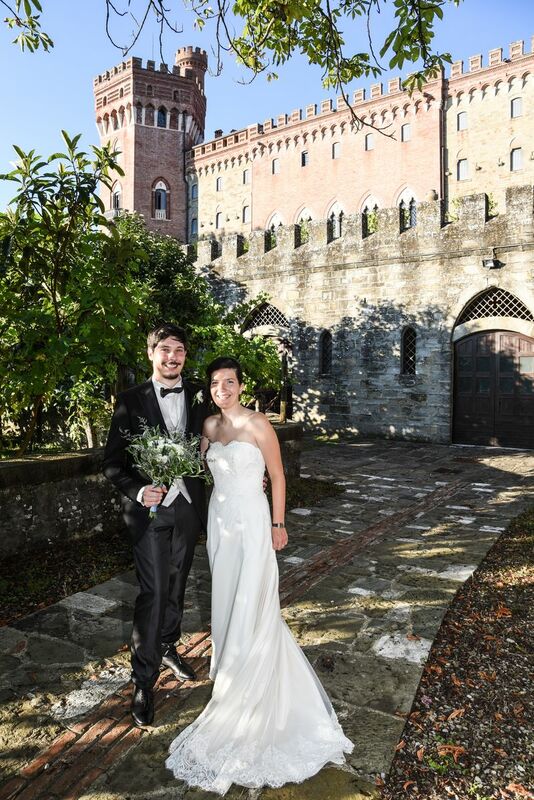 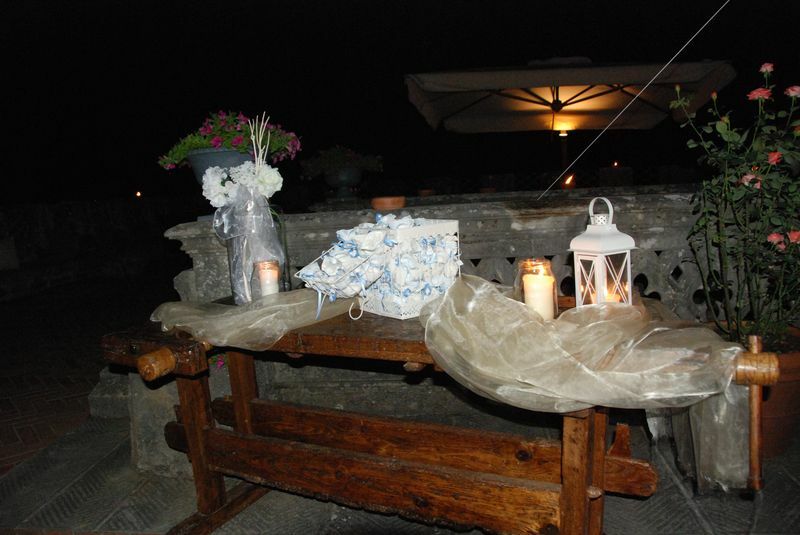 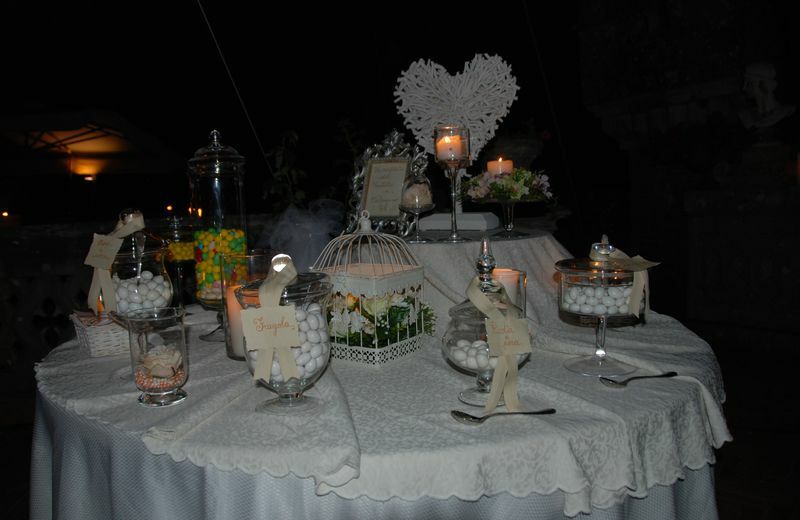 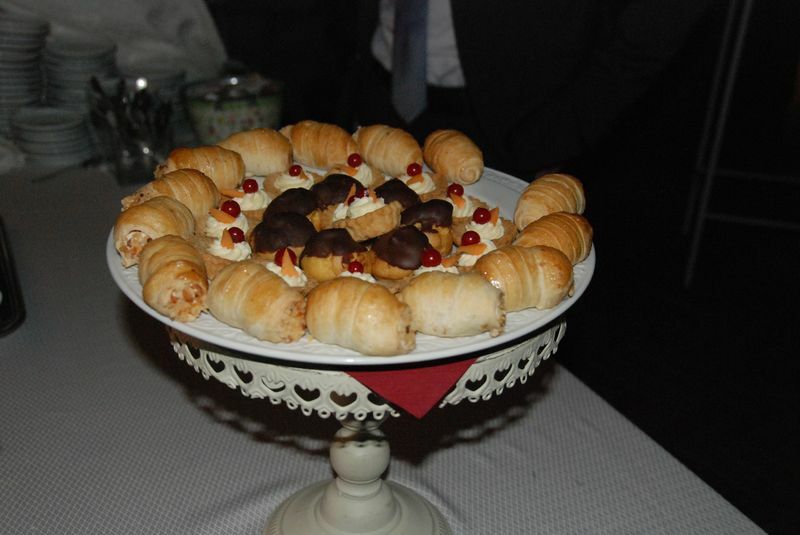 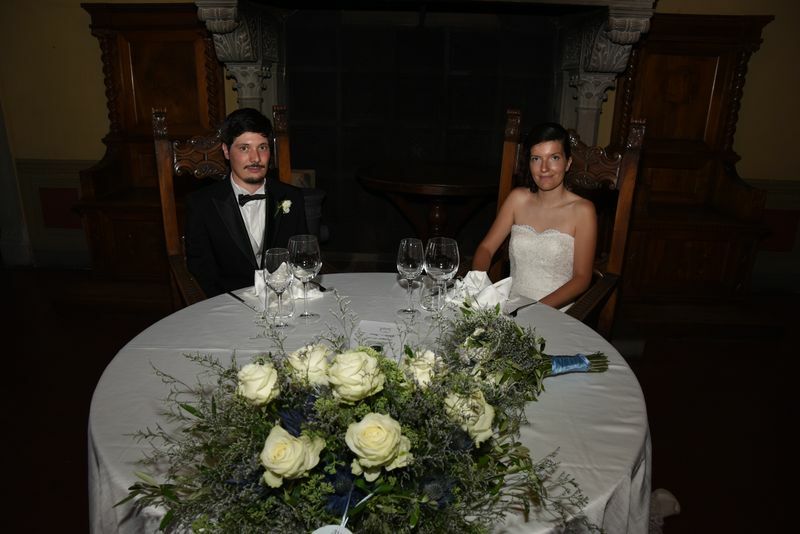 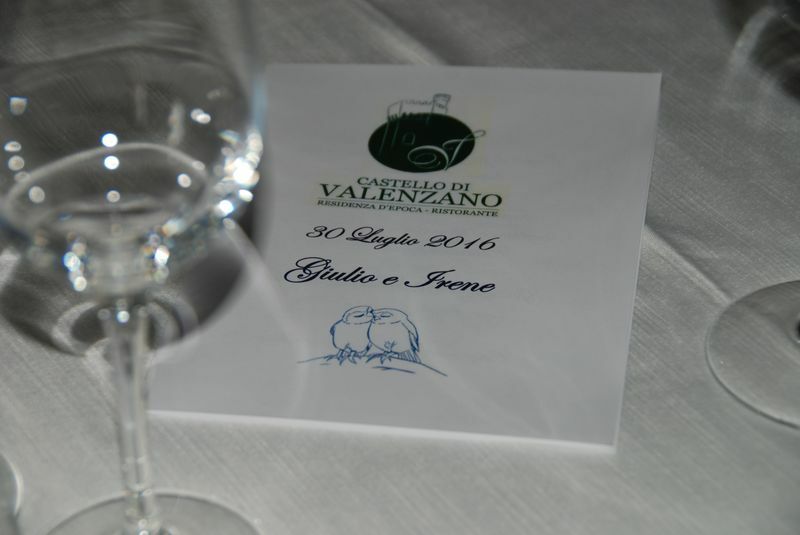 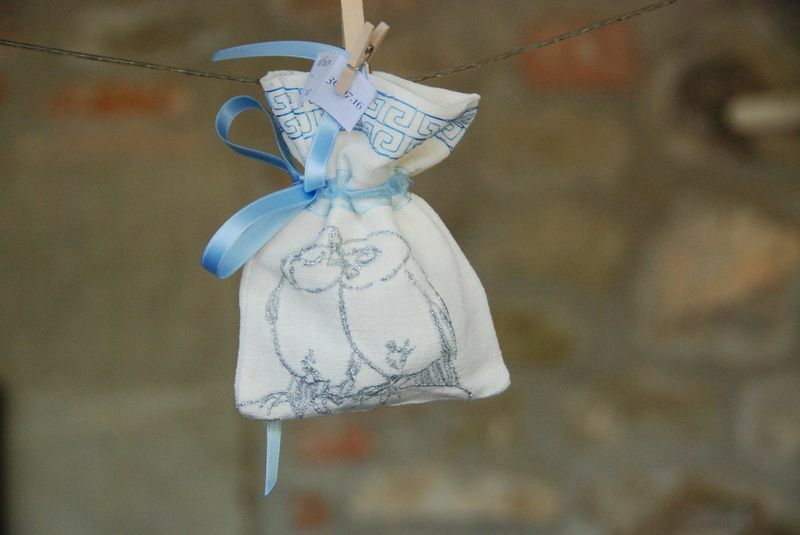 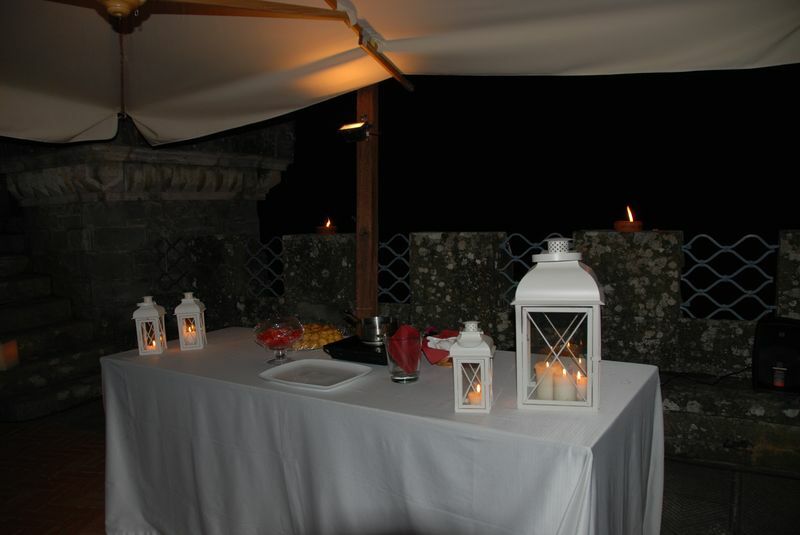 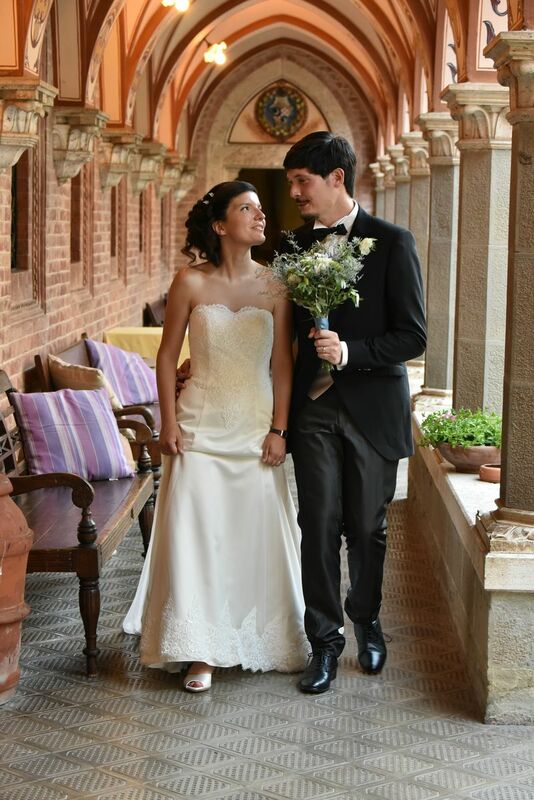 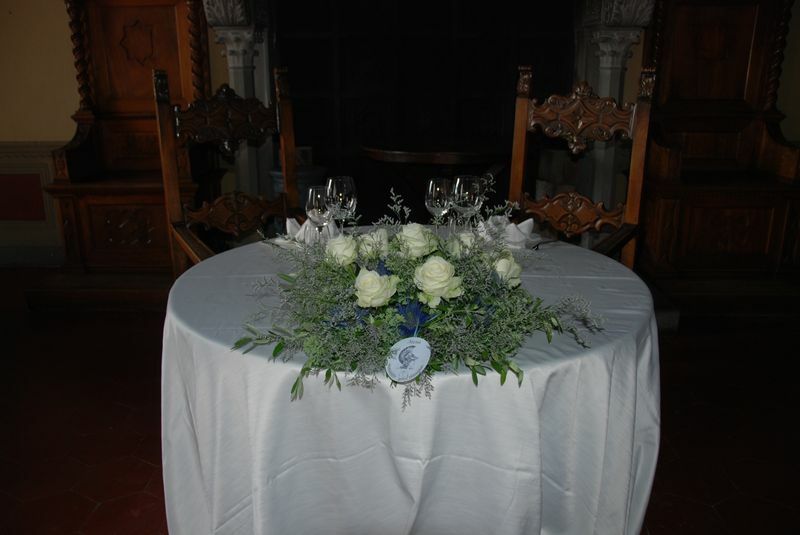 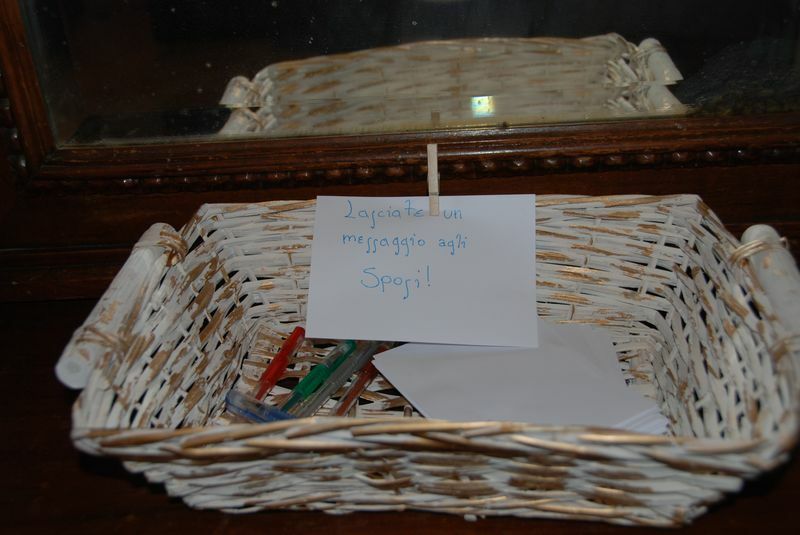 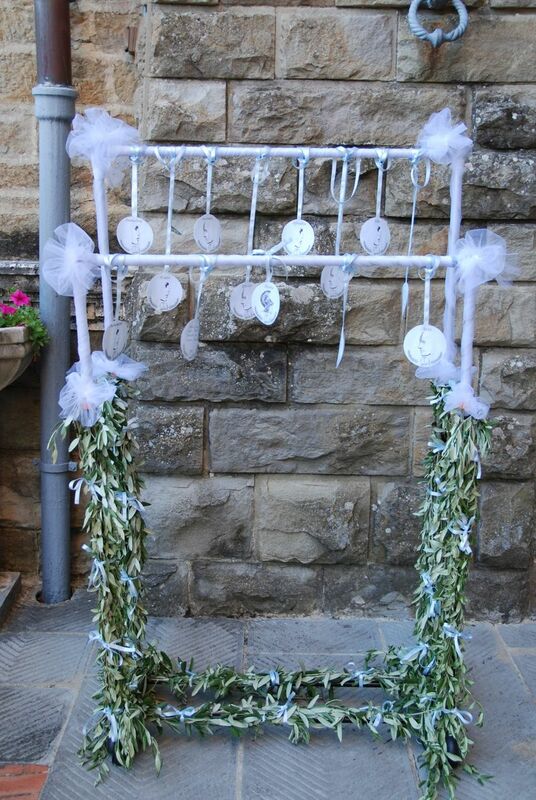 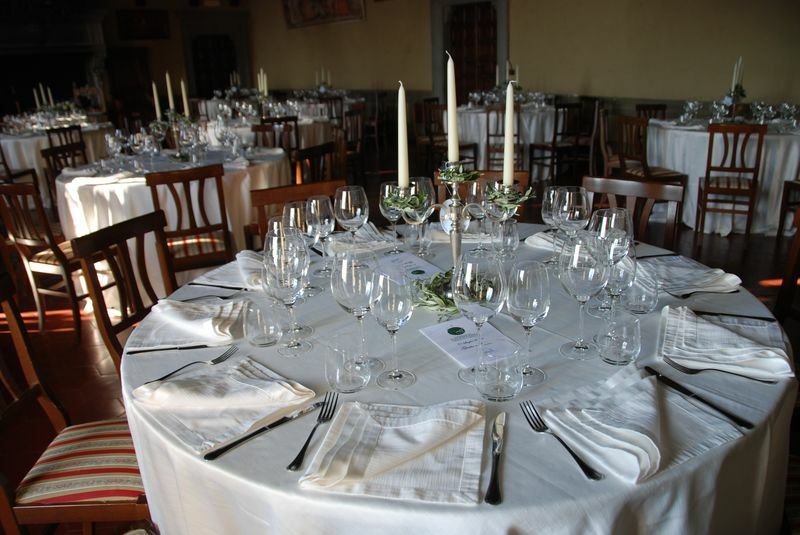 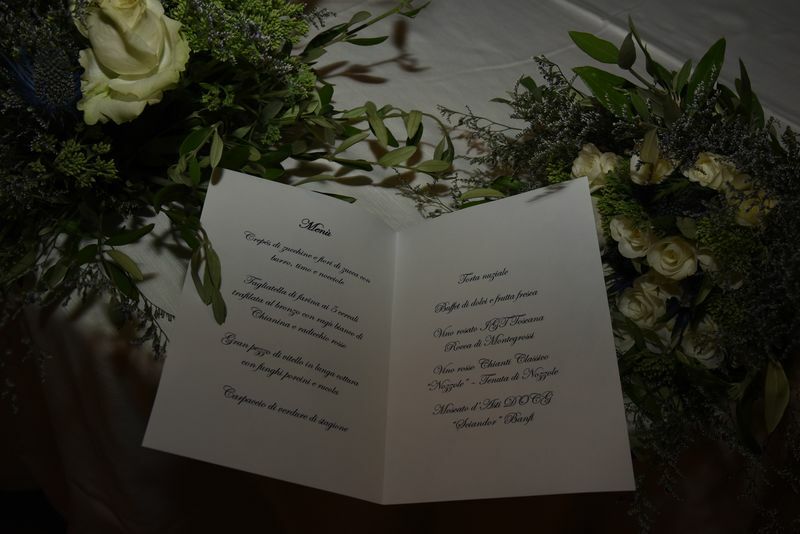 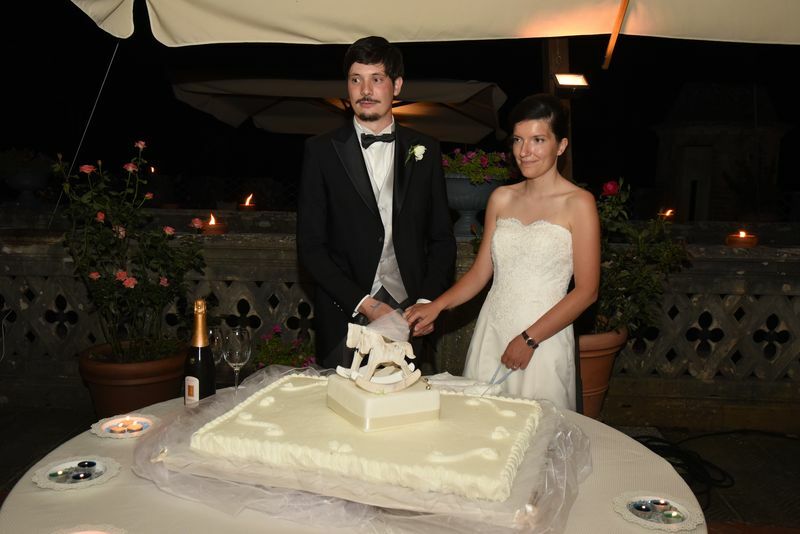 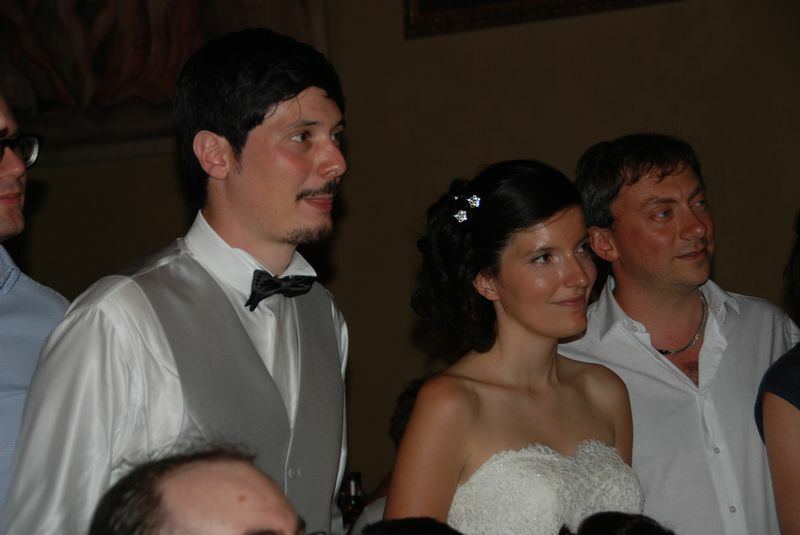 The wedding took place in an elegant venue, a castle nestled in the hills of Arezzo, with an impeccable service.